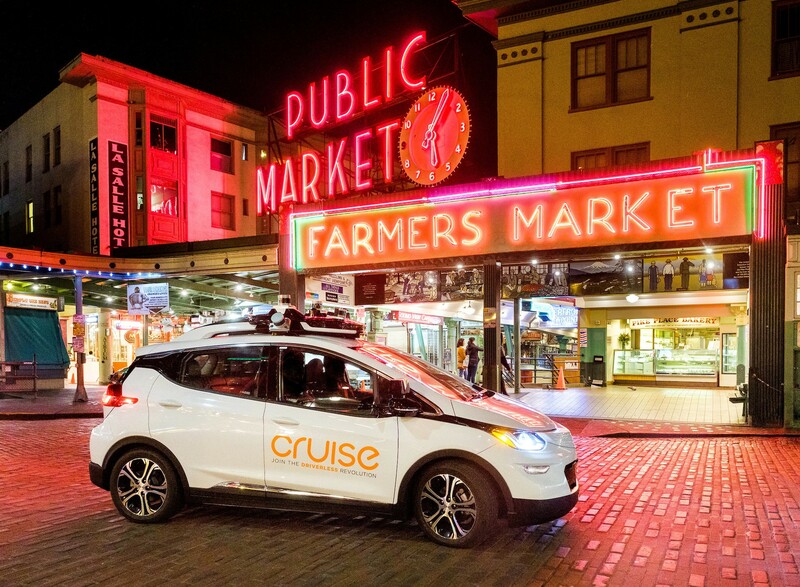 The Seattle “tech talk” sponsored this week by GM’s autonomous-vehicle subsidiary, Cruise Automation, had all the hallmarks of a recruiting event for software engineers, plus an extra twist: the self-driving Chevy Bolt that was parked outside the Flatstick Pub in Pioneer Square. Sure, there was free beer, free food and free mini-golf — but the Bolt drew a crowd as well. And that level of interest tickled Dan Kan, the former Seattleite who went on to become Cruise’s co-founder and chief operating officer. This entry was posted in GeekWire and tagged Automobiles, Cruise Automation, GM, Self-Driving Cars, Technology, Transportation. Bookmark the permalink.